Multi-channel retailing is a fast-growing part of the retail industry and a prime source of competition for traditional brick-and-mortar retailers. Companies in every segment of retail and wholesale feel pressure to add a direct eCommerce channel while they continue to enhance and extend the online aspects of their businesses. Is eCommerce Worth the Spend? Build your business case for eCommerce with this free white paper. For companies that are used to selling through stores and distributors, taking orders directly from customers can present unique challenges. First, the nature of demand is quite different. Direct online customers tend to order small quantities or individual items rather than cases or pallets. In addition, the picking and packing operation is different—and is often difficult to carry out effectively when it is mixed in with the large shipments supported by existing warehouse operations. 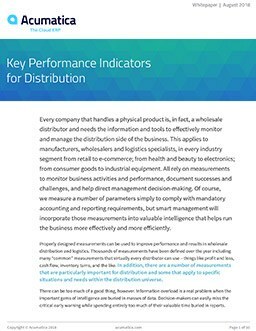 Integrated fulfillment, inventory management and warehouse management systems bridge the gap to provide intelligent put-away (goods placement), picking, and allocation of resources for performance and efficiency. Many multi-channel (or omni-channel) retailers sell products on the web that are not stocked in their warehouse, but are instead “direct shipped” from suppliers or distributors (transparently to the customer). Supply chain management tools connect the retailer’s order management and fulfillment system to suppliers’ systems to manage and account for this flexible operating structure. The result is multichannel retailing that ends in timely, accurate fulfillment—and it all starts with the right omni-channel retail solutions. Inventory and Price Management. You must be able to know which products are available, where and when; identify fast- or slow-moving inventory; and adjust pricing and offers dynamically. Fulfillment. It’s essential to get the product to the consumer as quickly as possible. Fulfillment can have a major impact on consumer confidence and loyalty. RMA and Returns. This is a major challenge in multi-channel retailing. Managing this issue from the financial side can be especially complex because the returns can be damaged, returned to stock, or no return-credit. Acumatica has partnered with Kensium Solutions to deliver a fully integrated ERP, CRM, and eCommerce solution. The Kensium eCommerce Adaptor incorporates all the flexibility and functionality of popular eCommerce software, such as Magento, Shopify, and BigCommerce. The result is user-friendly websites that create an outstanding customer experience while seamlessly passing information quickly and securely between the website front end and Acumatica. This platform delivers the benefits of cloud computing and software as a service (SaaS) without forcing you to sacrifice system customization, control, security, or performance. Leverage existing customer, product, inventory, sales, and shipping data from your ERP system to reduce redundant manual entry and increase throughput while reducing errors. Streamline inventory synchronization, track updates, provide an accurate picture of inventory available to shoppers, and process transactions without having to hire staff to manage these tasks. Notify customers automatically when orders have been shipped and allow them to track the delivery of products from a single portal. Simplify price and product changes to inventory, such as quantity or promotional discounts. Manage multiple online and offline sales channels to maximize revenue and profit. Simplify overall operations even as you grow. Meet tax requirements with automated tax compliance. If you’ve started to recognize that your customer service and therefore your business may be suffering due to your outdated back-office system, it’s time to upgrade. It can feel like a large, insurmountable task, but you don’t need to do it alone. You’re invited to listen to this on-demand webinar about how to upgrade to an all-encompassing eCommerce ERP solution.